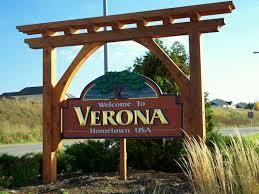 Named for the city of the same name in New York state, Verona is a moderately sized suburban town in the state of Wisconsin. The city is situated in Dane County and is a mere 10 miles from the state capital of Madison. The area is home to some picturesque nature trails and features, including Verona Sugar River Valley, Badger Mill Creek and the Ice Age National Scenic Trail. With a population of around 11,000 residents and covering a geographical area of about 6 square miles, Verona has a population density of around 1,600 residents per square mile. The following article will take a look at some of the pest control issues faced by residents of Verona, while highlighting some options of professional pest control in the area. Verona belongs to a ‘humid continental’ climate zone which sees the city experience significant seasonal and temperature variation throughout the year. Summers are warm and humid, while winter temperatures are regularly well below freezing. Precipitation is moderate throughout the year (particularly during the summer) and snowfall is heavy in the winter months. Thunderstorms may occur during the summer and fall. However, more extreme weather events are unlikely. Climate conditions in and around Verona see moderate insect pest activity during the warmer months, while some pests (such as rodents) are likely to shelter in homes to escape chilly winter weather. A common pest problem for Verona residents is rodents. Rats and mice are both active indoor pests in the area during the cooler months, as they seek refuge from the cold. Rodents are a particularly undesirable pest for a few key reasons. First, they can cause a proliferation of germs and disease in the home through both the mites and other creepy-crawlies found in their fur, and via excrement. Second, rats and mice can get into and contaminate food stores, as well as chew through food packets. Third, rodents have the particularly dangerous habit of chewing through various materials, including but not limited to electrical cables and wiring. This can lead to both service faults and the risk of electrical fire. Fourth and finally, rodents breed easily and can reproduce in large numbers in a home, which can lead to rapid infestation and an exacerbation of the above problems. To keep rodents outside where they belong, it is imperative to maintain a clean residence. Food sources (including garbage) should be stored in tightly sealed, impenetrable containers, while the cluttered, dark and warm areas where rodents like to nest should be limited. Additionally, it is recommended that trees and shrubbery are kept clear of gutters and outside ventilation, while gaps bigger than a quarter of an inch are reduced. Outside vents, meanwhile, can generally be covered with wire or cloth mesh to restrict rodent entry. If a rodent problem is discovered inside the home, it may be addressed with the DIY use of traps or baits. However, the most certain and complete eradication of a mouse or rat infestation is generally achieved through the use of a licensed exterminator. There are quite a few reputable options for professional pest extermination in the Verona area, including Batzner Pest Management Inc., Environmental Pest Management and Kwik Kill Pest Control. These companies all offer a range of residential and commercial pest control solutions, including treatments for rodent removal.